Solomon & Relihan has been handling injury cases for more than 40 years. We have the in-depth experience needed to handle difficult cases related to unexplained nursing home deaths. Solomon & Relihan was one of the first Arizona law firms to take seriously the problem of nursing home negligence. 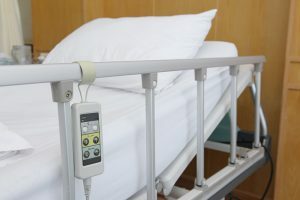 In fact, we took to trial the first nursing home punitive damage case heard by a jury in Arizona, obtaining a favorable verdict for a nursing home resident who had suffered malnutrition, bed sores, sepsis and death. Accepting a nursing home representativeâ€™s explanation of your loved oneâ€™s death at face value may not be wise. In nursing homes, unexplained deaths can be signs that the staff made a serious mistake. If you feel that your loved oneâ€™s death may have been due to neglect, negligence, or other misconduct on the part of the nursing home, speak with a lawyer about taking action. A â€œwrongful deathâ€ happens when a person is killed due to the negligence or misconduct of another. Wrongful death can be caused by a person, a corporation, or another entity. Under Arizona law, the deceased personâ€™s parents, spouse, and children have the right to file a lawsuit against the person or entity that caused the death. Unlike wrongful death actions in other situations (car accidents, for example) wrongful death cases in which incapacitated or vulnerable nursing home residents are the victims, families of the deceased may receive compensation for the pain and suffering their loved one experienced. And, if you win your case, courts can order that your attorneyâ€™s fees be paid by the nursing home. Losing a loved one can be overwhelming, even if he or she had resided in a nursing home for a long time and you had prepared yourself for the inevitable. The people you love deserve their â€œgolden years,â€ filled with comfort and quality care. When they have been deprived of that, your family needs support through a difficult time. We understand this. At Solomon & Relihan, we work closely with our clients. Our goal is to take the weight and worry of legal action off your shoulders so that you can concentrate on coping with your loss and moving forward. If someone you care about died unexpectedly in a nursing home, speak with a lawyer about your options.